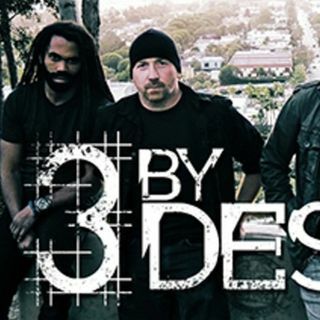 3 By Design is a fast rising rock band on the LA scene, with two hard-hitting EPs including their latest, "Enemy," already out even though they just formed two years ago. Their guitarist, Kevin Hicklin, and bassist Frank Mullis, dropped by Radio Titans studios for a free-wheeling conversation on the band, but also on what it's like for Kevin being an African-American in hard rock, the powerful influence Korn guitarist Brian "Head" Welch had on Kevin's spirituality ... Más informaciones and Frank's love of Michael McDonald and Hall and Oates. (Yes, you read right!) Plus we include a couple of their slammin' tunes, for a well-rounded visit that was a blast!